The marketing for next month's release of The Dark Knight Rises is in full effect, and since they've already got sodas taken care of, that can mean only one thing: Facebook games. 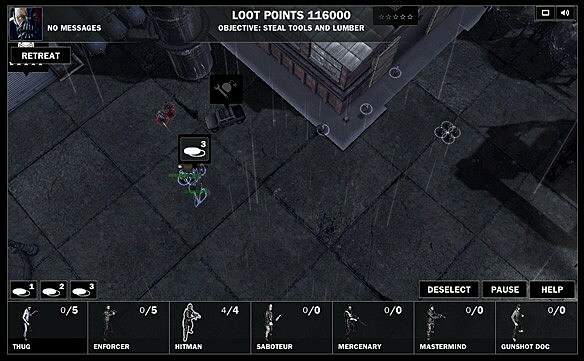 This time around, it's The Fire Rises, a real-time strategy set in Gotham City. The twist? You don't play as Batman. Instead, you're one of Bane's minions, sent out to wreak havoc on Gotham. 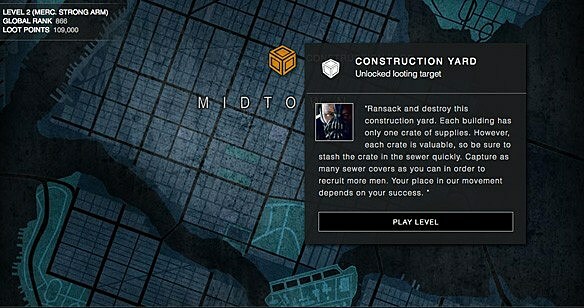 Which, from what I can tell, mostly involves stealing construction equipment.At the start of the game, you're given a map of Gotham City which those of you who have spent some time memorizing the DC Universe Atlas (me) will be happy to recognize as the Gotham of the comics. From there, you're given a few places to pillage, along with a Personal Note From Bane!!! It's like... I know he has a lot of evil mercenaries on his side, but this really makes me feel like I'm his #1 henchperson, you know? And that's very important to me. Anyway, Bane is apparently in need of construction equipment (spoiler warning?!?!?!?!?) so you're sent out to collect, using sewers to recruit your own minions and taking over other sewers to use as bases. 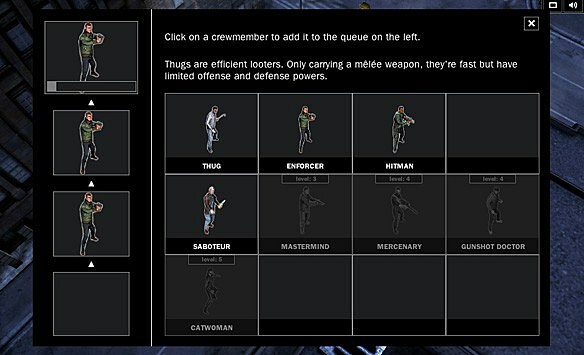 Sadly, despite the emphasis on sewers, you are able to recruit neither ninjas nor turtles. If you have the patience to make it all the way to level 5, though, you do get to recruit Catwoman, so that's something. Incidentally, leveling up might be the best part of the entire game, since Bane pops up to notify you. It's amazing, although it might have actually ruined the movie for me in advance, since it's hard to take a sinister bad guy seriously when you've seen him say "Good job! Get to 250,000 points and you'll make it to Level 4!" I have a lot of fond memories of RTS games from my youth, but to be honest, The Fire Rises didn't really hold my attention. Part of it is that the controls are just a little too awkward, and the units you get are a little too stupid -- there's no command for "guard," so they tend to just stand around until a security guard runs into them before they start fighting -- to make it a lot of fun. You're limited by numbers rather than resources (five of each unit), and instead of a goal, you have a vague time limit that kicks in once you get to a certain point. After you get a few levels and get a few more guys other than "crappy shooter" "less crappy shooter" and "cannon fodder," it gets a little more interesting, but it's still not that great. Still, the fact that Gotham City has a seemingly infinite supply of eager young thugs (who end up having a mortality rate comparable to cows dropped into a piranha tank), it is a pretty accurate reflection of life in Gotham. Check it out for yourself at TheFireRises.com!